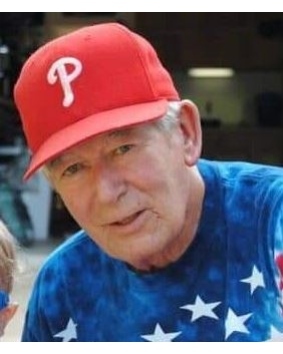 Kenneth “Ken” James O’Brien, 81, passed away on April 6th, 2019 resting comfortably in his own home at Chattanooga, Tennessee. Kenneth was born in New York City, NY to James and Frances on July 2nd, 1937. He went to school at Pennsbury Senior High School in Levittown, PA. He married Lorraine O’Brien on Feb 8th, 2003 in Chattanooga, TN. Even though the pastor insisted that marriage was a crisis, they were happily married from that day until the day of his death. He graduated from Temple and Rutgers Universities. He worked as a manufacturer’s representative in plastic film and sheet for many years and was relied on for his stories, jokes, and expertise in the business. He was a veteran that served in the United States Army, achieved the rank of Staff Sergeant, and was honorably discharged after 6 years. He loved history and could tell you everything you ever wanted to know, and some things you may not have, about World War II. He had a passion for guns and was so proud to become a certified gunsmith in 2006. He spent a great deal of time in his “bullet factory” building and repairing guns and making bullets. He was also an avid golfer. He knew exactly what you were doing wrong and would be happy to tell you all about it. He was passionate about his Philadelphia Phillies and would love to talk to you about them, as long as there wasn’t currently a game on. He was proud to say that he had watched every single Super Bowl, but especially the one that his Philadelphia Eagles won. Most of all, however, he was passionate about his wife, and his son Justin. Kenneth was preceded in death by his mother (Frances), father (James) and his brother (Robert). Kenneth is survived by his wife Phyllis “Lorraine”, his sons Justin, Kenneth Jr., and Kevin; three stepchildren; his grandchildren Aidan, Logan, Reagan, Todd, Caitlin, Jennifer, Casey, Johnathon, Katherine, Wes and Jennifer; and nine great-grandchildren. Visitation will be held 5:00-7:00 pm Friday, April 12, 2019 at Lane Funeral Home and a funeral Service will be held at Lane Funeral Home Chapel at 11am Saturday April 13, 2019. The committal will be held privately. In lieu of flowers, the family requests that donations be made in his name to St. Jude’s Children’s Hospital or Shriner’s Hospital for Children. The family of Kenneth wishes to extend our sincere thanks to Hospice of Chattanooga, and his loving caregivers Debbie, Amanda, Brittnea, Michelle, Shirley, and JJ.